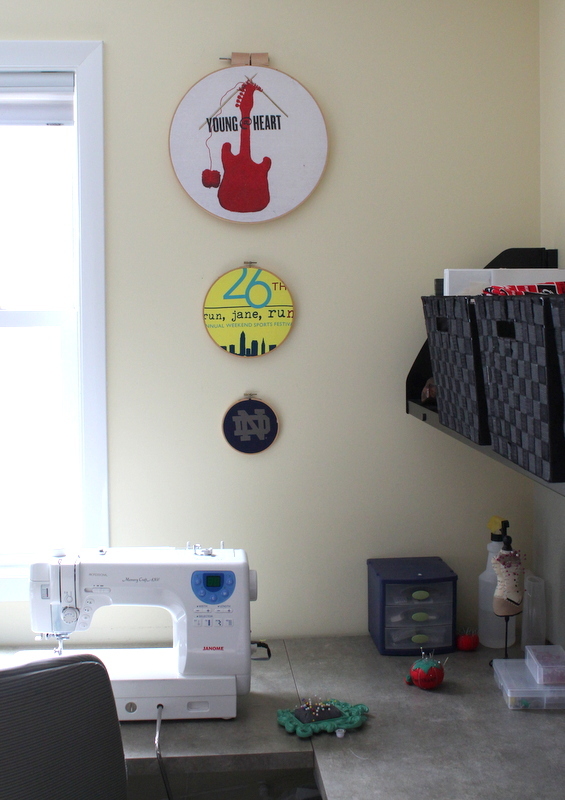 My home sewing studio is about 10 years old. I am trying to refresh it a bit. 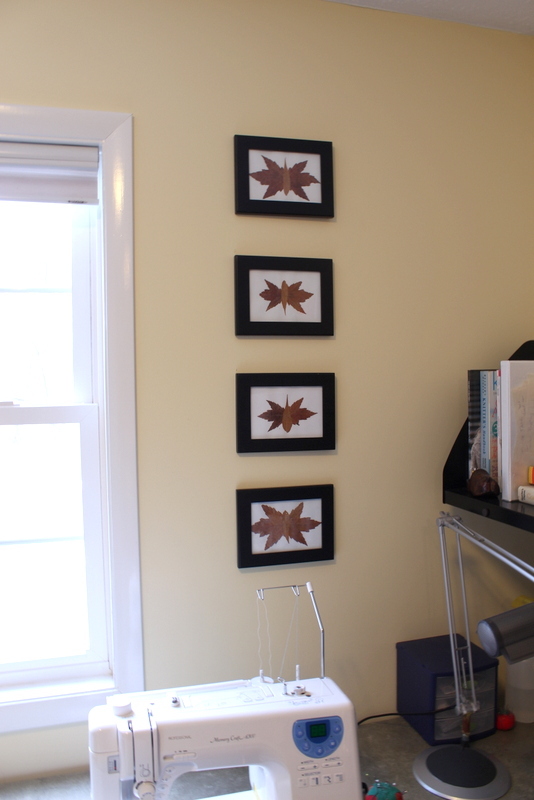 I’ve had these framed, leaf butterflies on the wall for a long time. 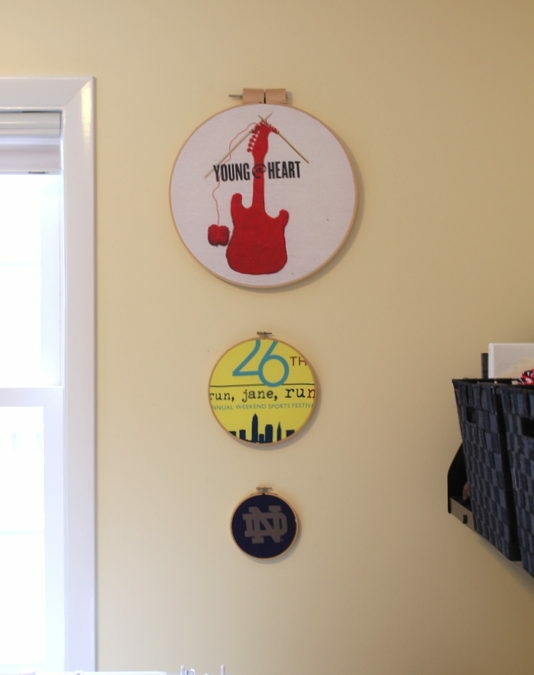 While stumbling through some of the supplies in my closet, out fell three embroidery hoops I purchased at garage sales and had been saving for wall art. 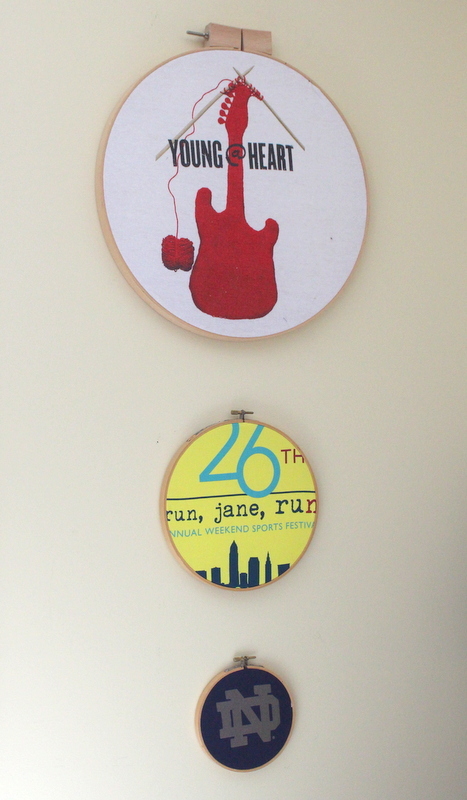 I was inspired to use T Shirts in the hoops. 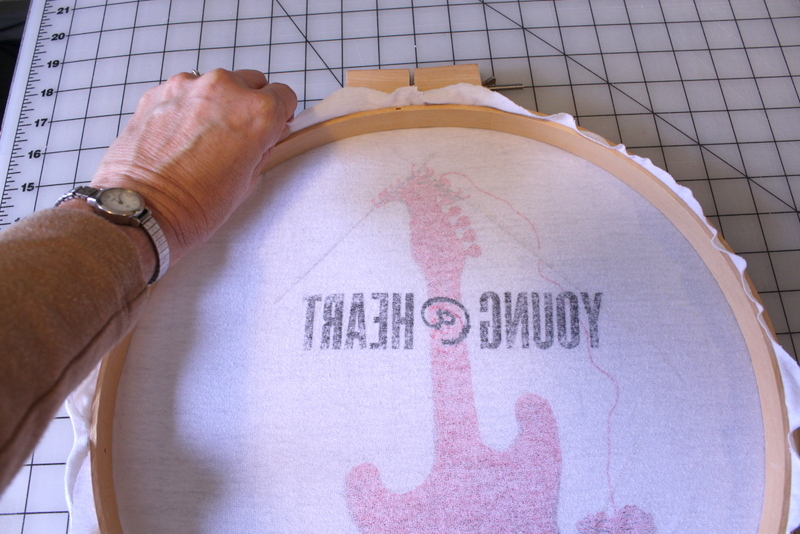 I’m not sure why I had not thought of this sooner since it’s the perfect craft for someone who upcycles a lot of T shirts! My son bought this shirt for me from a thrift shop. 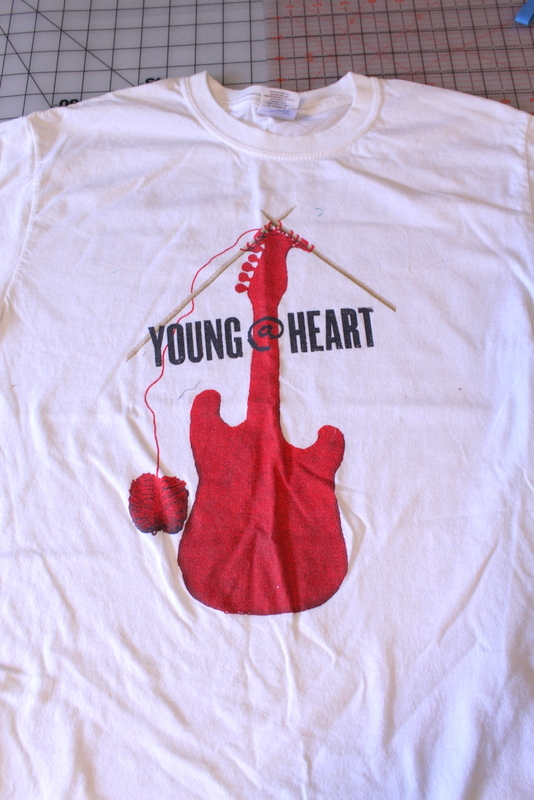 I loved that it combined a bit of him – the musician – and me – a knitter, but I didn’t fit into it. I had it tucked away with intentions of sewing a knitting project bag. 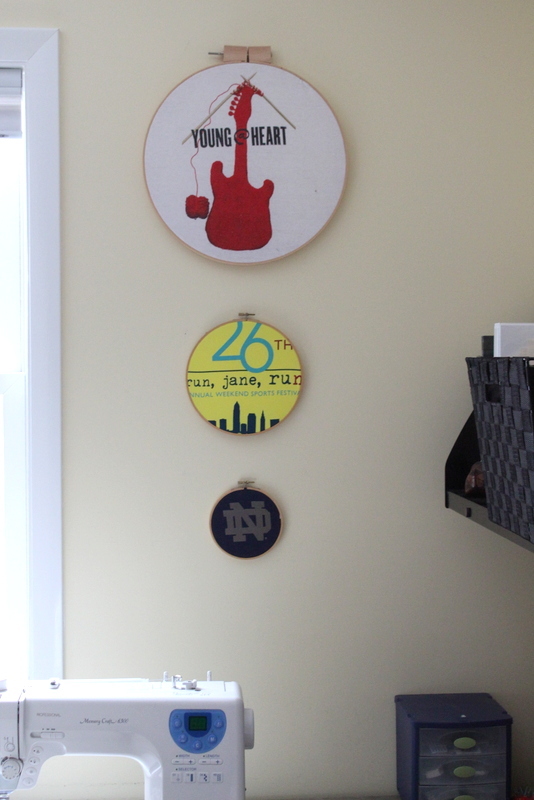 But I decided it would be a perfect motif for the large hoop and perfect for my craft room. I headed to my T Shirt drawer (which I can barely close) and snared shirts that would fit my remaining hoops. 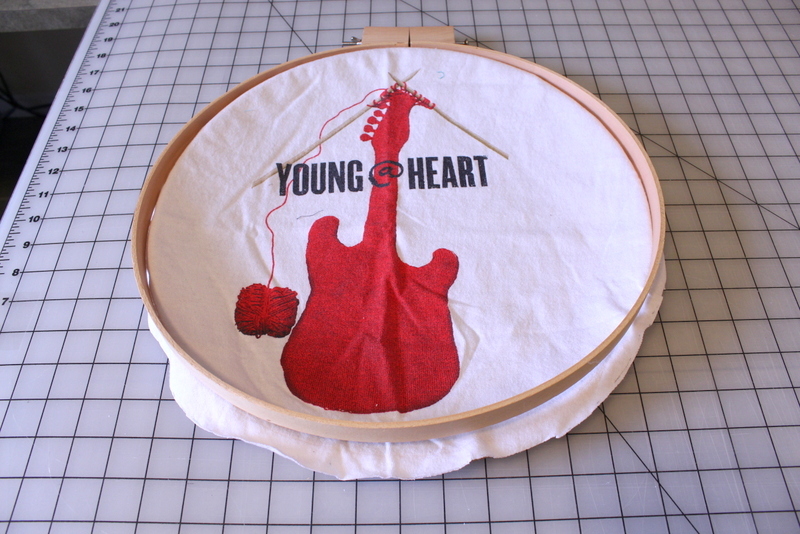 To begin, lay the shirt over the non-adjustable hoop. 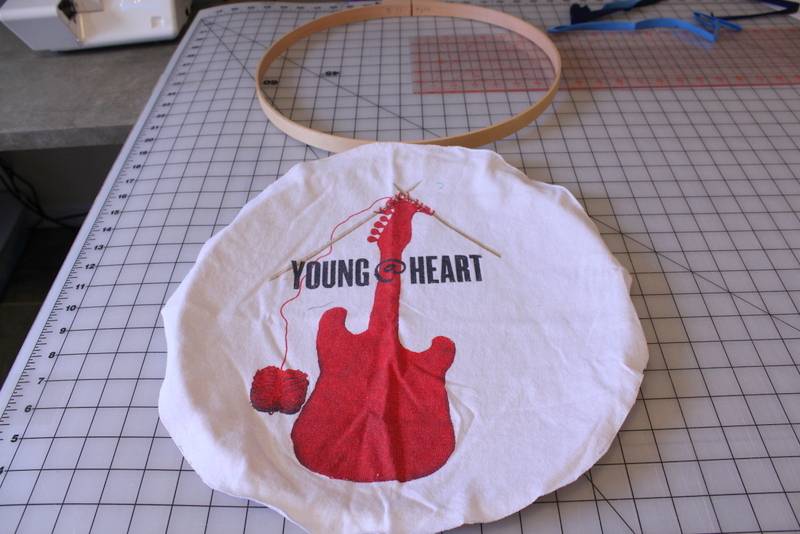 Center the design and then place the adjustable hoop over it. Trace around. It’s OK if you enlarge the circle a bit because you will later cut off the excell. 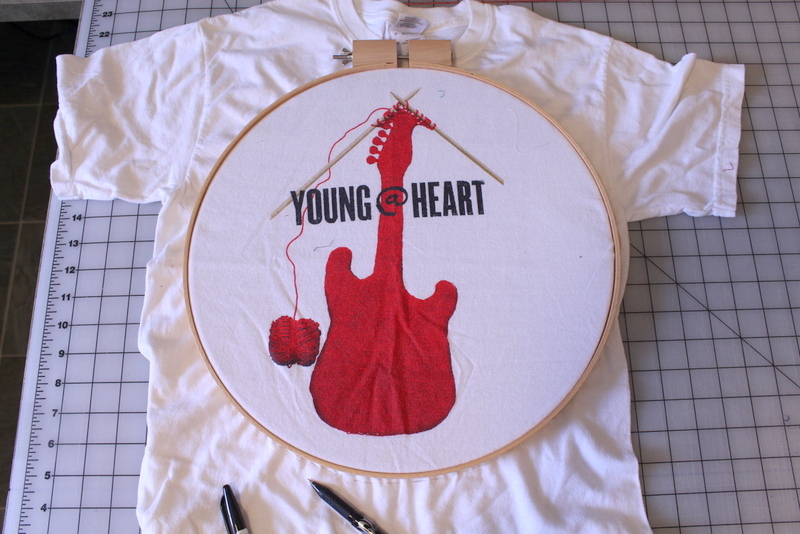 Remove the shirt from the hoop and cut out the circle. Lay it on top of the hoop and position the adjustable hoop on top. Try to make sure the shirt is accessible all around before you tighten it completely. Turn it over and pull the shirt taut. Tighten the hoop. Cut the scrap extending beyond the hoops. 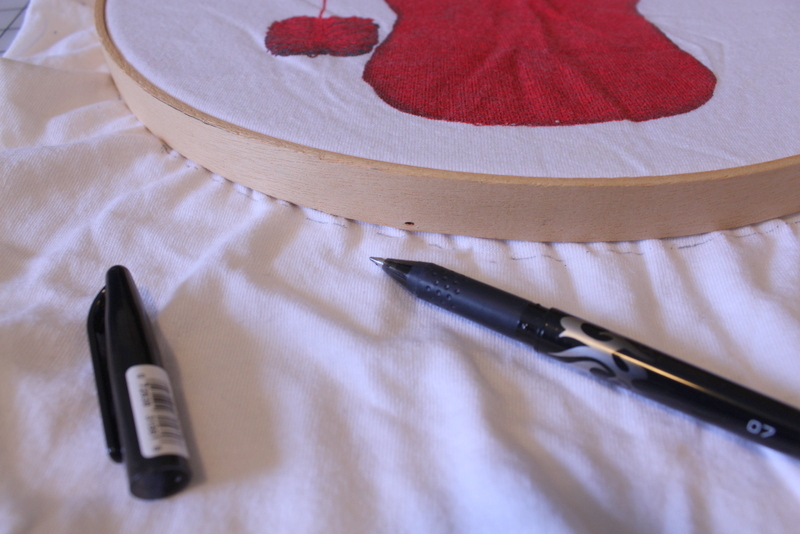 I used my embroidery scissors. Find old nails, and hang! I want to thank All Free Sewing for naming me one of their top bloggers! 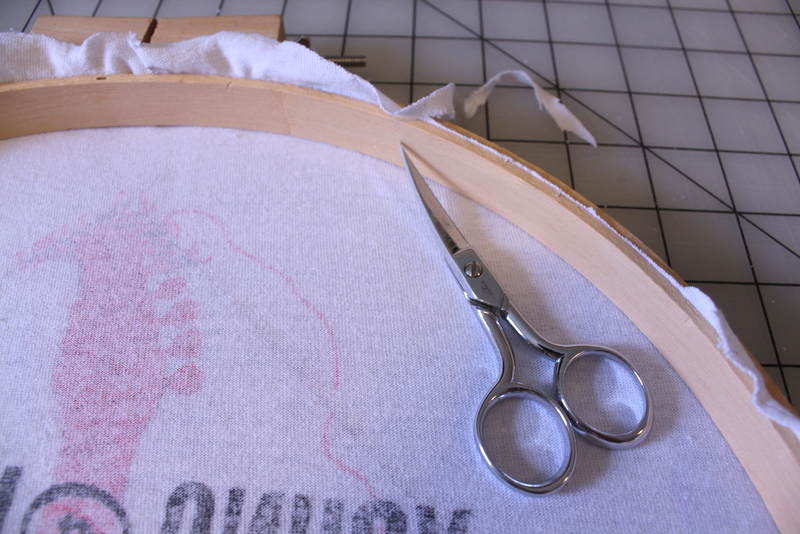 I love sharing tutorials and All Free Sewing has shared many of mine. You can check out their 100+ Free Sewing Patterns and all the fun sewing ideas they have on their site.